Windows and doors are mostly overshadowed with other design elements of the space. But if you think about the impact every window and door has on a house, interior or exterior, you will see how important it actually is to pay enough attention to choosing materials and design. Think about how often do you open and close windows, how often do you use every door and than think about how important is the material it's made of for its long-term sustainability. And here we say that when it comes to durability nothing can beat steel. Steel is super strong. When you compare with alternative window and door materials such as aluminium, steel is more than three times stronger! This super strength helps it hold bigger, heavier panes of glass than other options. You don’t have to think twice when it comes to steel windows and doors. They are important. Architects use them for almost every type of building because steel is prefect for every structure. Steel windows can offer “very narrow sightlines” because of how strong they are. This isn’t a featured quality when you use other materials such as wood, UPVC, and aluminum. The triple-V: Steel is Very, very versatile. Whether you’re talking about a traditional building or a modern office, steel windows and doors will always look perfect, elegant and sleek while blending right in to the structure. Their versatility allows them to be used in many building structures, ranging from churches to preschools, hospitals to retail stores, industrial factories to the comfort of your very own home! They live forever. Their multi-generational appeal speaks to its longer-than-wood-or-aluminum lifespan. Some steel windows in Europe, for example, are more than a full century old– and they still look as beautiful as the day they were born (sorry, ladies). being over a century old and still looking great! 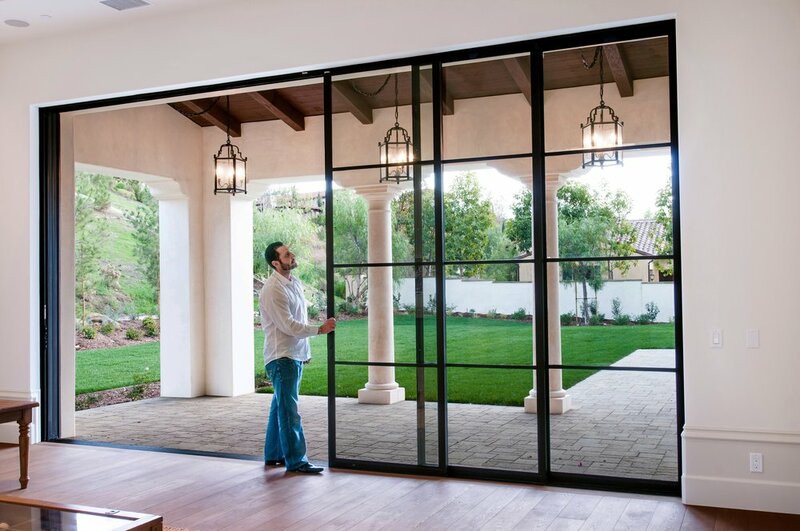 Even right here in the good ol’ USA, there are steel window options that have lived more than three generations, before ultimately getting replaced because the glass or surrounding of the steel frame gets damaged (rather than the actual frame itself). They have a fire safety rating. That’s one of the biggest reasons steel is often presented in office buildings. There are many fire-rated designs you can purchase, including many windows that have a great fire rating while also tacking on the previously-mentioned benefits of steel windows. While all window and door options probably carry some benefit, there’s no option that says as much about a good selection as steel windows. And Euroline Steel Windows and Doors provide the most amazing design solutions in the most unimaginable scales. TBS Design Gallery is proud to offer customers Euroline products and provide installation services. Our window and door specialists will guid you through the design process and provide estimates. So don't hesitate! Book your appointment now.